Christina J. Goldstein is a litigation attorney of Lucy Lu & Associates. She is a trial attorney representing clients in Georgia and throughout the United States. Christina has over 8 years of experience in litigation and over 4 years of experience in immigration. She has successfully litigated and settled complex negligent security case and breach of contract case. She litigates cases in Superior Court, State Court, Magistrate Court and Federal Court. She prepares and files motions as necessary to litigate case, including Motions to Compel, Motions for Sanctions, Motions to Add, Drop, or Substitute Party, or Responses to Summary Judgment Motions. She also prepares for trial, including drafting Motions in Limine, pre-trial orders, direct exam, cross exam, identifying and marking exhibits, preparing demonstrative evidence, opening statement, closing argument, performing voir dire. In addition to the litigation practice, Christina has also advised clients on immigration matters. She has worked on adjustment of status applications, immediate family petitions, hardship waivers, H-1B petitions, L visa, TN visa, naturalization, I-140 petition, L-1 visa and VAWA petitions. 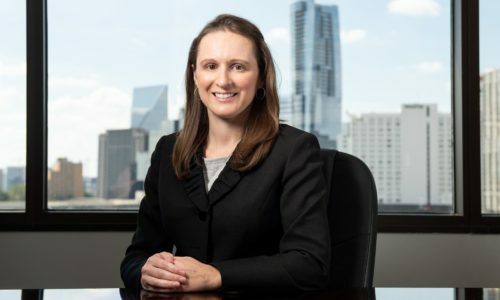 At Lucy Lu & Associates, Christina continues to litigate before all state courts in Georgia and federal courts. Furthermore, she continues to advance her practice in immigration and corporate fields.